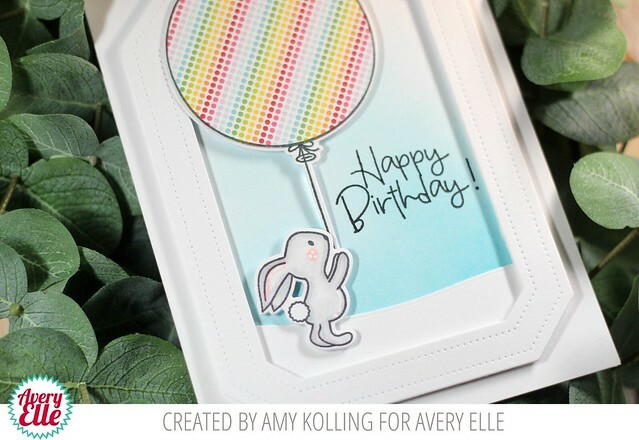 Amy here sharing a card using the adorable Some Bunny set. Who doesn't love a cute bunny and a big balloon? I thought it would be fun to go back to some of my roots with this card......Paper Piecing. I wanted to add some color with pattern paper. You can do this with ANY pattern paper in your stash. 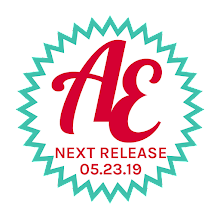 I used a rainbow pattern from The Everyday Collection by stamping the balloon onto the pattern, hand trimming out the shape, and adhering it to the balloon die cut. To create my scene, I used the Pierced Mat Elle-ments to die cut a white frame. Behind the frame, I ink blended Broken China Distress Ink and stamped my sentiment in New Moon Dye Ink. I added my frame with foam adhesive as well as my Copic colored bunny and big balloon. So cute! I love this bunny stamp, and paper piecing the balloon was a great idea.